Upgrade to Cellular monitoring NOW and enjoy the ability to remote arm and disarm your system right from your phone almost anywhere! You'll also be able to view the status of your alarm system and do much more. Be sure to give us a call now to see if you qualify for an upgrade! Our all wireless security systems allow you greater flexibility on where the device can be placed to ensure you have the greatest possible protection. With a wide range of complementary devices, you can assure that all vulnerable spots are covered. Our wireless security systems provide you with complete protection and peace of mind. You can rest easy knowing ProTech Security will help protect what you value most - your family, your home and your possessions. 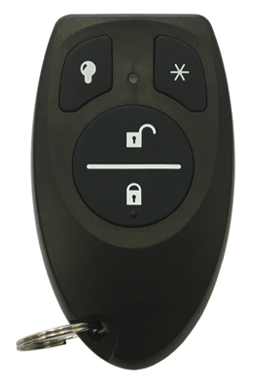 "GET A FREE QUOTE NOW"
This compact wireless key fob gives you the convenience of arming and disarming your system without using the keypad. A programmable panic button also keeps you safe from your car to your home. 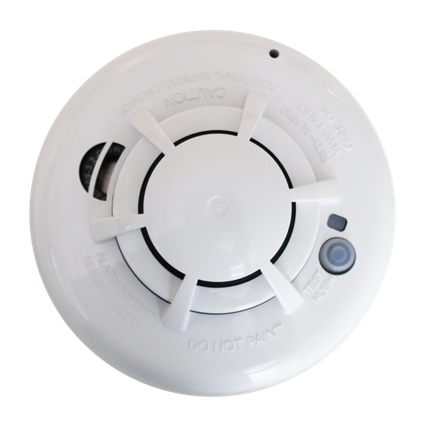 Its low-profile look is attractive yet effective in detecting smoke or fire conditions with great reliability. With built in alarm horn, easy maintenance removable smoke chamber and low battery indicator light, this detector will work to keep you safe. Breaking through glass is one of the easiest and most common ways to access a home. Using Digital Sound Analysis technology this detector will pick up on that sound and immediately signal ProTech's monitoring center. 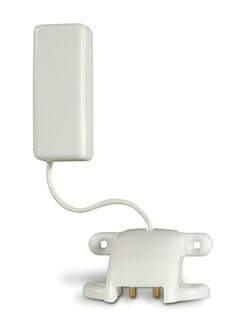 Monitors and alerts you when the water level in sump pumps, or anywhere else this detector is applied, is too high. FOR A COMPLETE LIST OF ACCESSORIES FOR YOUR HOME SECURITY SYSTEM CLICK BELOW. Imagine being able to see what is happening at your home or business from almost any location. Take control and become more aware than ever with a digital video surveillance system. Here at ProTech, we build you a camera system to fit "your" needs. This means you will not have to buy a "package" system that might include unnecessary parts. Also, with a Digital Video Recorder you can record and playback video any time you want, at your convenience. Content copyright 2011-2012. Protech Security Systems. All rights reserved.